KFH Flash Suppressor Light Weight Version with Realistic Laser Marking. It is intended for use on short barreled rifles to decrease the recoil force. KFH Flash Suppressor Heavy Weight Version with Realistic Laser Marking. It is intended for use on short barreled rifles to decrease the recoil force. Krinkov Style Flash Hider Heavy Weight Version. For real guns, it is intended for use on short barreled rifles to decrease the recoil force. 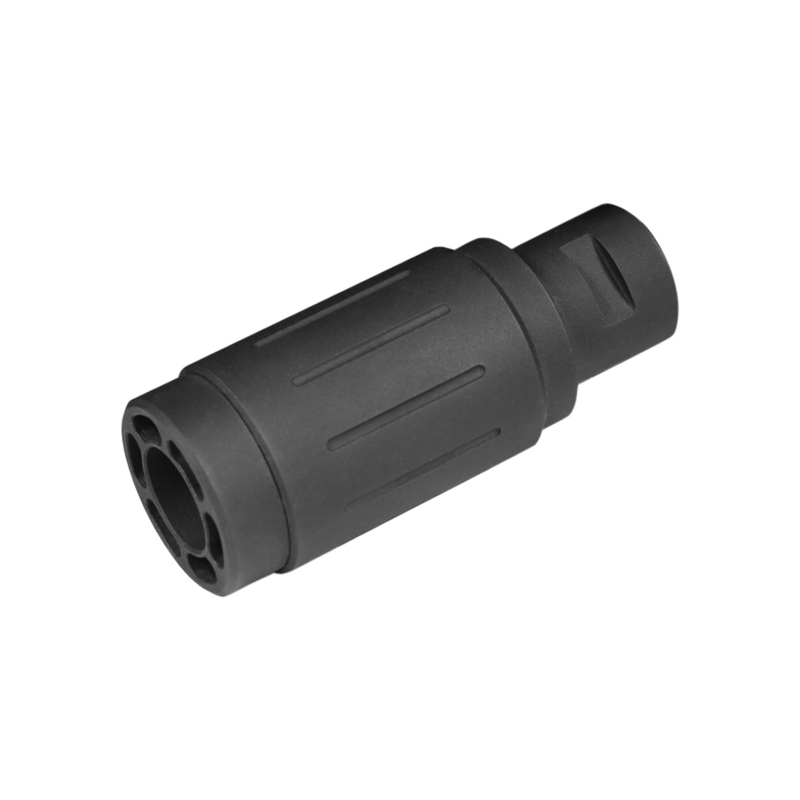 Vltor Compensator 1st Model for M4 series. 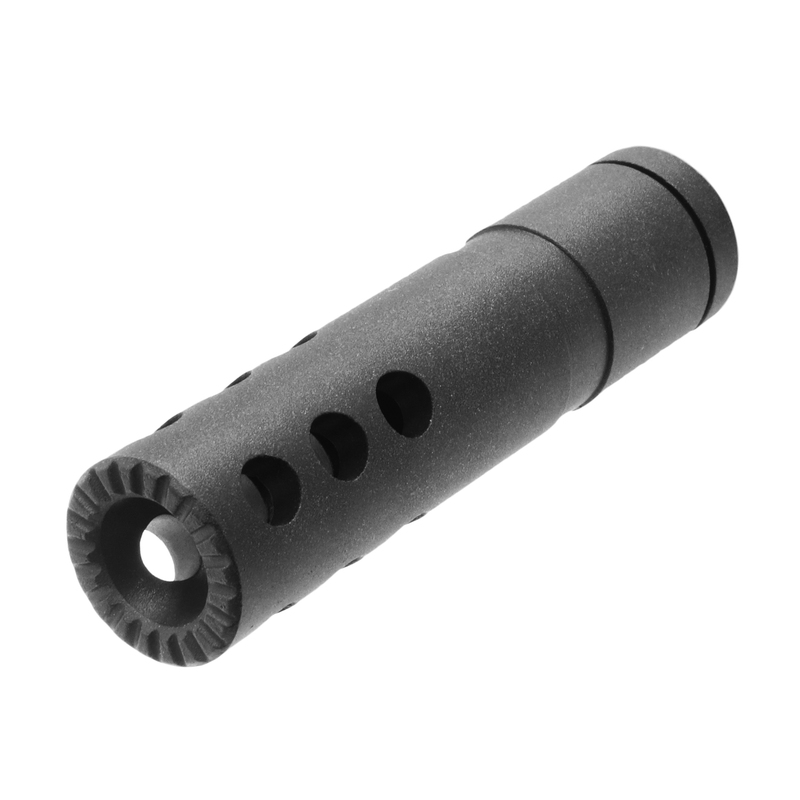 Phantom 5C1 Flash Suppressor for M4 series. 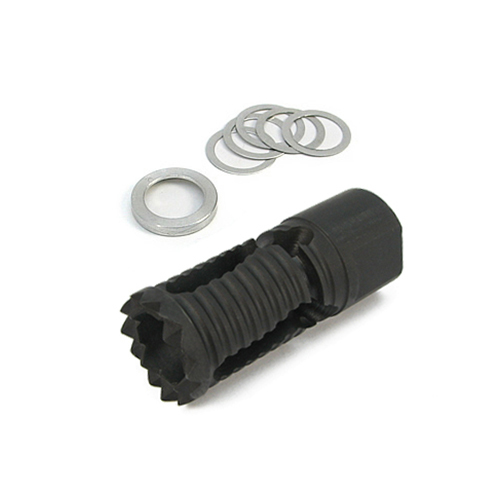 Rebar Cutter Flash Hider. 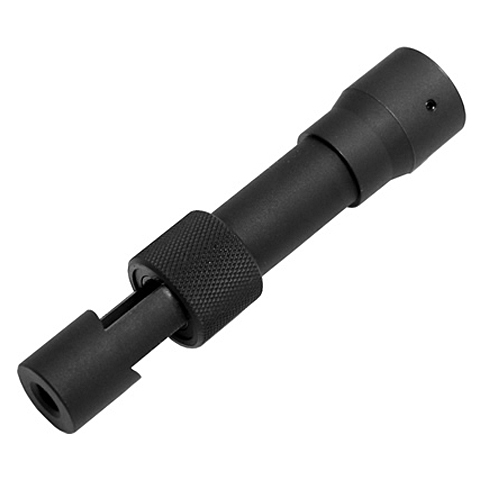 Designed for standard A2 flash hider. Also fit most 2.2cm diameter flash hiders. 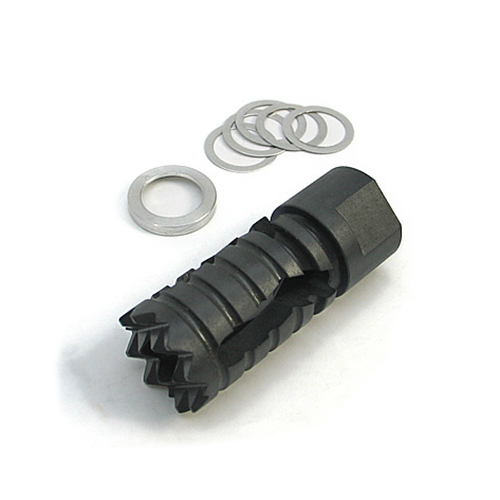 Rebar Cutter Flash Hider Light Weight Version. 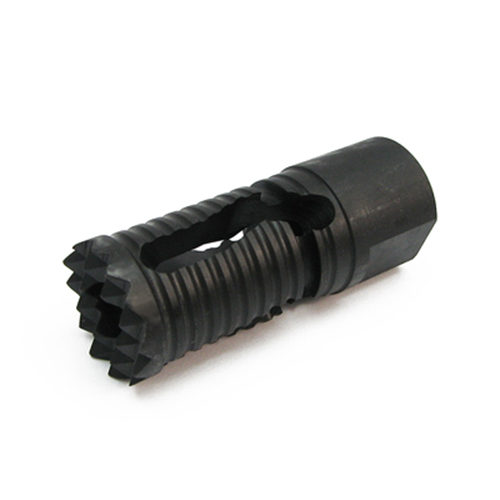 2005 Knights Type Flash Hider for M4 series. 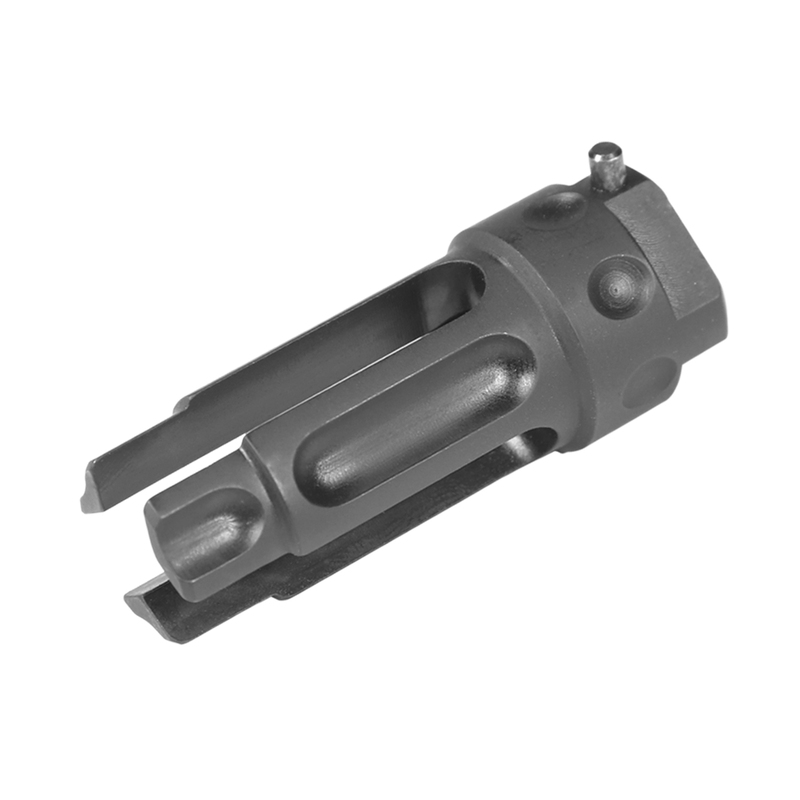 POF Flash Hider for M4 series. 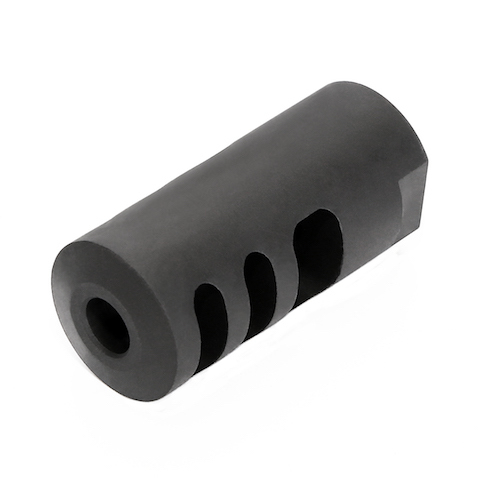 Saylors Machine Phoenix Flash Hider for M4 series. 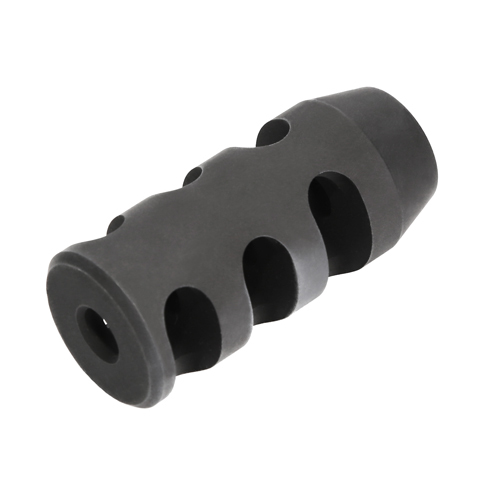 King Arms Tactical Round Flash Hider. Stylish extended fire cap design make the rifle looks cool and outstanding. 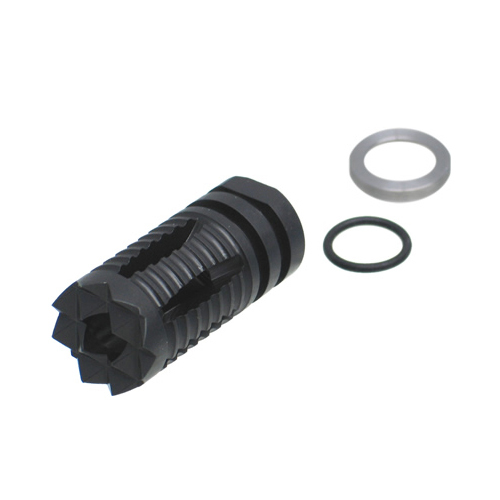 14mm anti-clockwise thread for easily to replace with other accessories,such as silencer or tracer. Troy Medieval Muzzle Brake Type 2. Troy Medieval Muzzle Brake for M4 series. 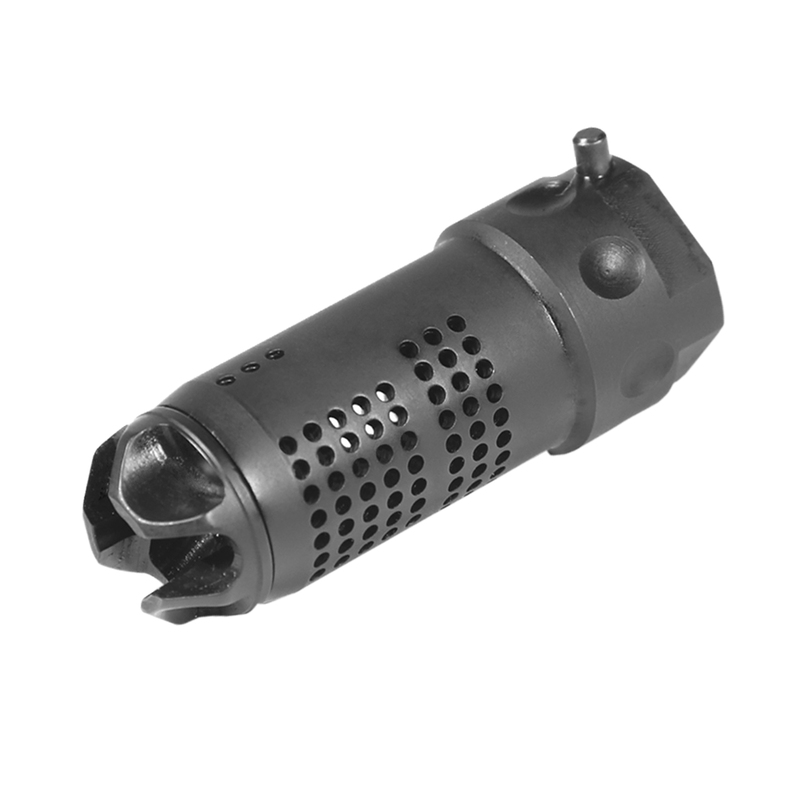 Troy Medieval Flash Suppressor for M4 series.